Day four of the annual NY2LA Sports Next level Invitational we saw prospects from across the country compete at a high level. College coaches continue to pack the baselines and take in the action during the first July open period. Here are some of the prospects that stood out to me. 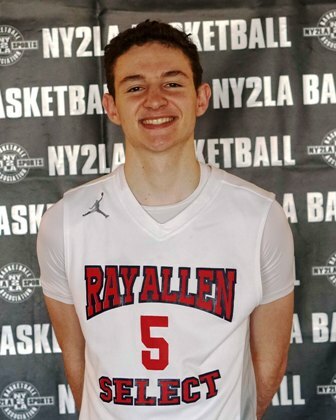 Cole Nau – 2019 (Ray Allen Select 17u) - Nau has shown all grassroots season that he is arguably the top pure point guard in Wisconsin for the class of 2019, Saturday was no different. The high IQ point guard did an outstanding job leading Ray Allen to two wins which has kept them at an undefeated record this week. Scoring wise Nau can knock down midrange to three-point shots with consistency, attack and finish at the rim, and he scores in transition well. A legitimate division 1 prospect Nau has an offer from Air Force and is receiving interest from many more. Jordan Rice – 2021 (Quad City Elite 15u/16u) - The talented 2021 prospect had a breakout game late Saturday night in Quad City Elites win over Martin Bros. Rice is a smaller prospect, but he has good instincts and is very skilled. He is a playmaker that can score off the bounce with his knock down jump shot, create his own offense and for his teammates, and he makes good passes. He has time and room to continue to develop his game and has the potential to turn into a promising prospect in the 2021 class. Rice finished with 22 points in the win. 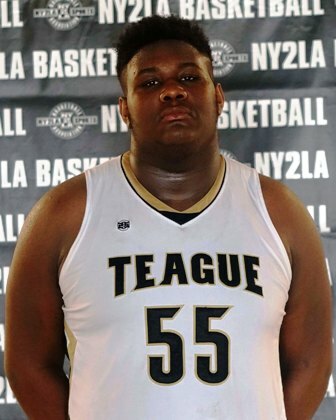 Dawand Jones – 2019 (Team Teague 17u) - Jones has had an outstanding grassroots season for Team Teague of the NY2LA Basketball association. Jones is a big, strong, and physical post prospect who dominates opposing defenses game in and game out. The two-sport standout athlete has a good combination of nice footwork and soft hands. Jones had division 1 coaches buzzing after he scored 19 points including a couple of powerful and1 dunks in Team Teagues win over Milwaukee Spartan-Rebels. Cameron Palesse – 2021 (Phenom University 15u) - The rising 2021 prospect had a breakout spring playing with Phenom University of the Nike EYBL. He has carried that strong play into July and is proving that he is a legitimate division 1 prospect. Palesse is the Phenom’s go to man when they need a bucket and for good reason as he can score from all three levels. The 2021 prospect has advanced post skills and takes advantage of smaller defenders in the paint. He finished with 15 points in Phenoms win over Impact Elite. Foster Wonders – 2021 (Pack Attack 15u) - Wonders is a promising 2021 prospect that we have been keeping tabs on for a while and he has continued to develop his game in terms of skill, strength, and his IQ. Wonders can score from all over the floor and when he gets going good luck stopping him. He is very skilled around the basket as he can score with a variety of different post moves and even hit a couple of fade away jumpers. Wonders finished with 16 points in Pack Attacks win over Iowa Mavs. Kaliem Taylor – 2020 (Milwaukee Spartan-Rebels Elite 17u) - Taylor is one of the top 2020 prospects in the badger state and for good reason. He has the confident mindset that coaches love as he doesn’t backdown from any competition. 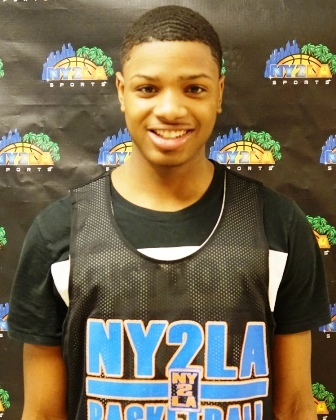 He attacks and finishes at the rim with aggression and finishes hard through contact at a high rate. Taylor has proven that he can be a consistent jump shooter and when he gets going he becomes a three-ball threat. A legitimate division 1 prospect who has earned early offers will continue to see his recruitment pick up over the course of the next 6-8 months. 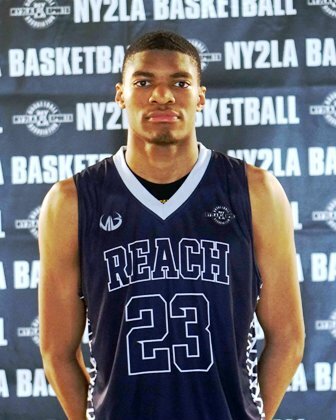 Jalen Thomas – 2019 (REACH Legends 17u) - The 6-10 prospect who has a good combination of strength and length to compliment his height is one of the top post prospects still on the board in the Midwest. Coming back from a hamstring injury Thomas has slowly found his groove back and was a huge reason in REACHs success Saturday. He cleans the glass on both ends of the floor and was deflecting and blocking shots all day long. Offensively Thomas scored in the pick and roll and showed that he can knock down jump shots too. Dashon Enoch – 2019 (Made Men 17u) - The under that radar 2019 prospect has given college coaches in attendance this week no choice but to pay attention. The high-level energy point guard is extremely tough and plays with a high motor game in and game out. He is a very tough kid that loves to compete and that often gives up the upper advantage. He was getting to the rim using his strength to go through defenders and finishing at a high rate. He has worked on his jump shot the last year and has become more of consistent midrange shooter. Tyson Acuff – 2020 (REACH Legends 16u) - Acuff had an outstanding day for REACH and was at times dominant with the ball. He was scoring at a high rate and there was nothing the defenders could do to stop him as he was knocking down pull up jumpers, finishing at the rim, and getting to the foul line all day long. He can finish through contact at a very high rate and converted on a couple of and1s. Acuff wasn’t selfish though, he was still getting his teammates involved and finding the open man for easy buckets. He finished with 14 points and 10 assists in their win over Made Men. Donovan Ivory – 2019 (WI Blizzard 17u) - Ivory had a breakout performance in the Blizzards big win over WI Playmakers. The rising 2019 prospect in the badger state was scoring from all three levels and doing so through tough defense and sometimes double teams in the paint. He uses his strength and athleticism to finish around the rim and proved that he can play above the rim at times too. He hit a couple of jump shots off the bounce and off the catch from midranges to beyond the arc. Ivory finished with a game high 19 points. Andrew Gibb – 2019 (All Iowa Attack 17u) - Gibb had one of the top scoring performances of the day going off for 26 points in their win over Wisconsin Shooters. Gibb is an outstanding three-point shooter and will hurt defenders if they leave him any kind of space to get his shot off. He was attacking the paint and finishing at the rim hard through contact. He was a vocal leader for his team and did a great job leading them to the victory. Gibb had college coaches buzzing after his strong performance. Payton Guiot – (Yanders Law 17u) - Guiot has been terrific for Yanders Law all week long and Saturday was no different. Earlier in the week he knocked down 8 three-point shots in a win over SW Minnesota Stars and was able to carry that hot hand into Saturday. He proved that he can create his own offense and get his shots off using his lethal quick release. He is shifty and keeps defenders on their toes with his quick and creative crossovers. Guiot should see his recruitment pick up some over the course of July if he keeps playing at the level he is.